For the Spirit X earphones, some of the standout claims are their 12 hours of battery life and water AND sweat resistance which is pretty key for all you fitness addicts out there. The Spirit X’s have an IPX-7 rating and this includes the aforementioned sweat protection which is seen as a lot more damaging to headphones due to its corrosive properties. This also means that these headphones would stand a much better chance if you were to use them whilst swimming or surfing in saltwater thanks to this rating. Admittedly, we didn’t get to test this feature out fully but from the various times we did use them to work out, we had no issues whatsoever with any water or sweat coming in contact with the earphones. When it comes to build quality, the Spirit X earphones are practical if a little uninspiring. This is to be expected as they’re sole purpose is to get you through your work out session/run/swim so their design appeal was always going to be secondary. 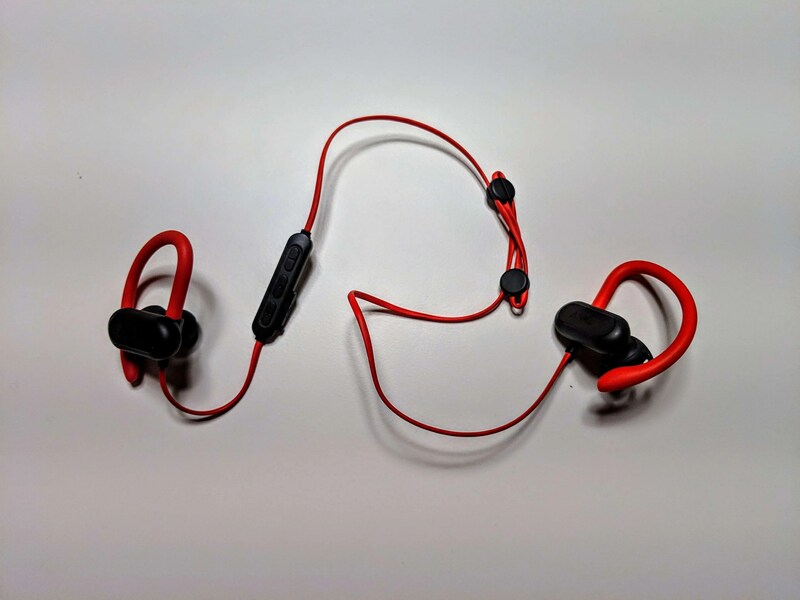 That’s not to say they look bad; for a pair of wireless sports earphones, they look fine and the set we reviewed in particular, with its red cable, made it stand out a bit more than your all black offerings from other manufacturers. The earphones come with a nice little zippable travel case for the extra eartips and outer-ear holds that are included also. We found the mediums tips worked best for our ears to create a tight seal but you may need to alter both the tips and outer ear holds to ensure you get a fit that will stand up to any particularly intensive workout regime. You obviously also get a charging cable to charge the earphones but unfortunately, it’s Micro USB and not USB Type C. Again, this may be to do with their price point but we would have liked to have seen the inclusion of the newer and now more ubiquitous charging port. 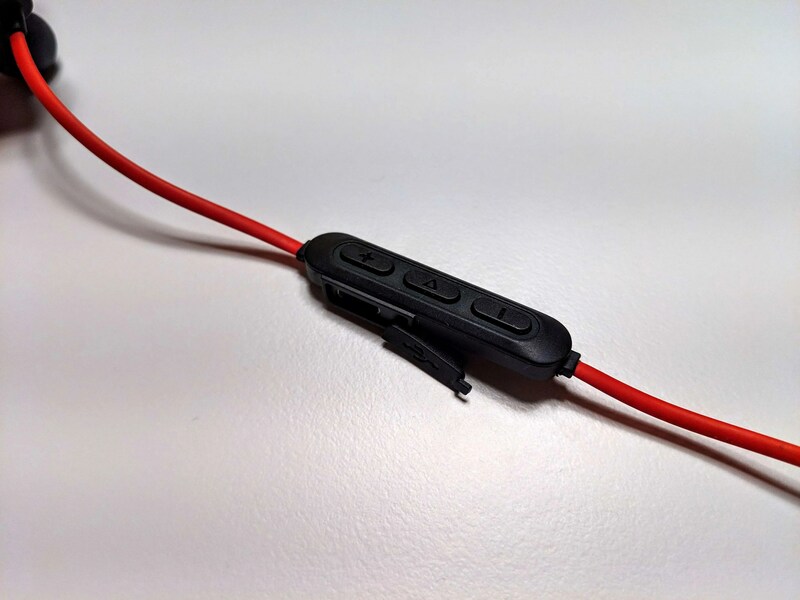 The Spirit X earphones support Bluetooth 5.0 and we found the connection to be strong with almost no drop outs in terms of the connection with our phone. Volume wise, the Spirit X’s can go incredibly loud for their size so this may come in handy in loud gym environments for example. The inline control, which also hosts the charging port, allows you to skip tracks and answer calls without having to touch your phone which is very handy but we would have liked a little bit more functionality here. The audio quality from the Spirit X earphones is impressive given their size and we were also surprised by how much bass they could produce also. Now, don’t get me wrong, they’re not going to compete with the likes of Bose or Sony’s wireless earbuds options but, for their price point, users will definitely get a respectable and well-rounded listening experience. 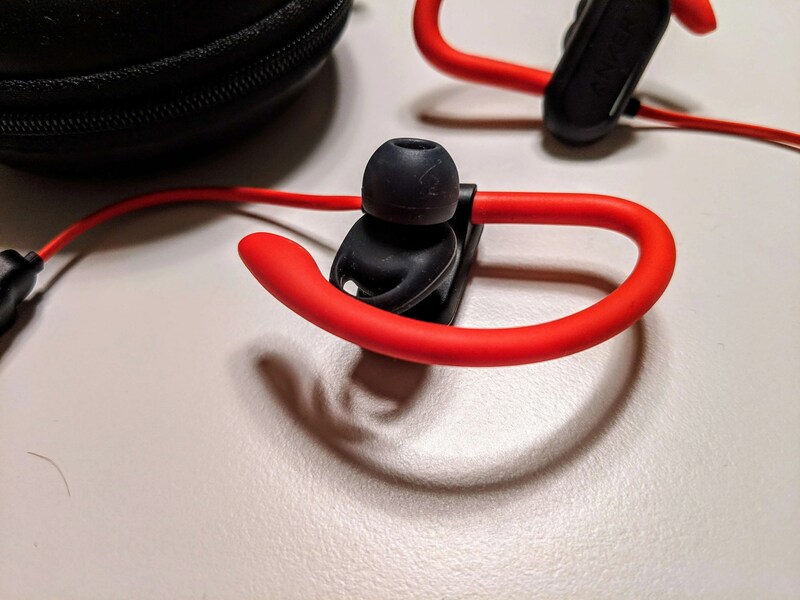 In the end, if you want a pair of wireless earbuds that deliver a nice little kick of bass and decent 12 hours of battery life while you work out, the Anker Soundcore Spirit X earphones are definitely a pair of earphones you should check out. Coming in at under €40 with free delivery from Amazon.co.uk to Ireland. They really are punching above their what in what they offer. 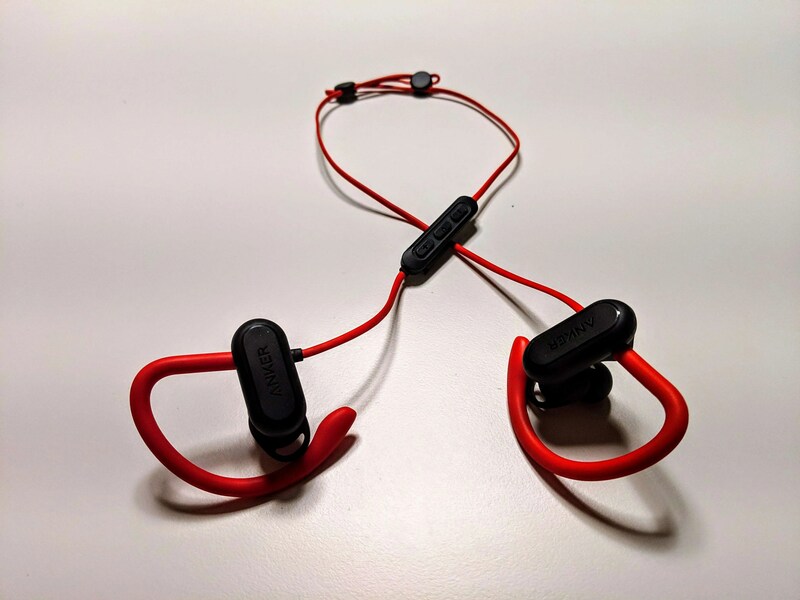 Iif you want a pair of wireless earbuds that deliver a nice little kick of bass and decent 12 hours of battery life while you work out, the Anker Soundcore Spirit X earphones are definitely a pair of earphones you should check out.